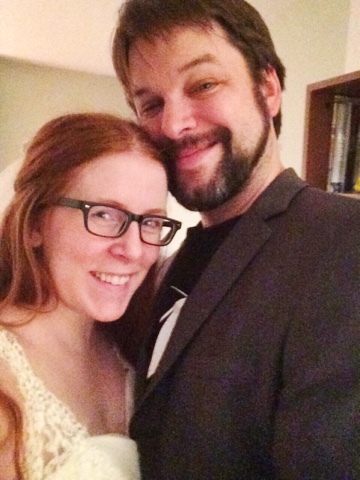 As I’m sure you all know (mainly because I won’t shut up about it, honestly) Christopher and I just celebrated our one year wedding anniversary in September. 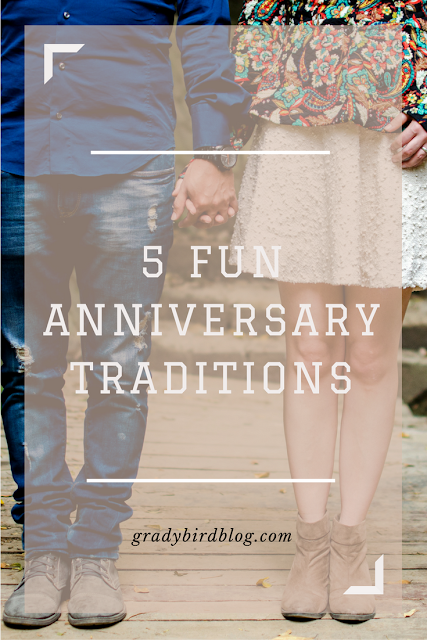 And in this post I talked about how we started some pretty fun traditions that we hope to continue for years to come! Now this one might sound cheesy but that’s because it is. Like esentially every other couple on the planet, when we were engaged we received a few “Bride & Groom” and “Mr. & Mrs.” clothing items. To be honest, we had more than a few! 😉 So obviously we don’t still have all of them, but we do still have Mr. & Mrs. t-shirts and Bride & Groom baseball caps. And you know what? We wore them on our anniversary! Sure, it’s super silly and corny, but it just added some sweetness and fun to the day! This could be especially fun if you go out to a meal, which we did, but honestly I thought it was just as sweet to wear them hanging around the house! Plus, it’s a super easy, two-second thing to do that can add some pizazz to your anniversary! Now this one probably sounds fairly obviously but Christopher and I are “go big or go home” people, so when we sat down to look at our wedding photos, we literally looked at all of our wedding photos. 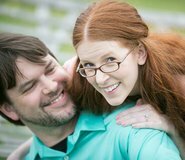 Like, we went on our photographer’s website and went through every single one! We didn’t take a million years on each photo like when we saw them for the first time, but we did still go through the whole album! It didn’t take too long, plus it was really fun to relive the photos that may not be ones we have in the house or on social media, but that are still awesome representations of our day. 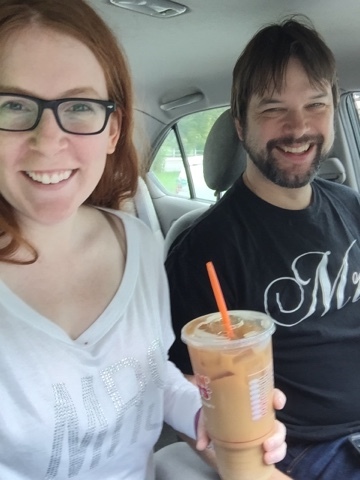 We went through ours first thing in the morning and it was such a nice way to start our anniversary! 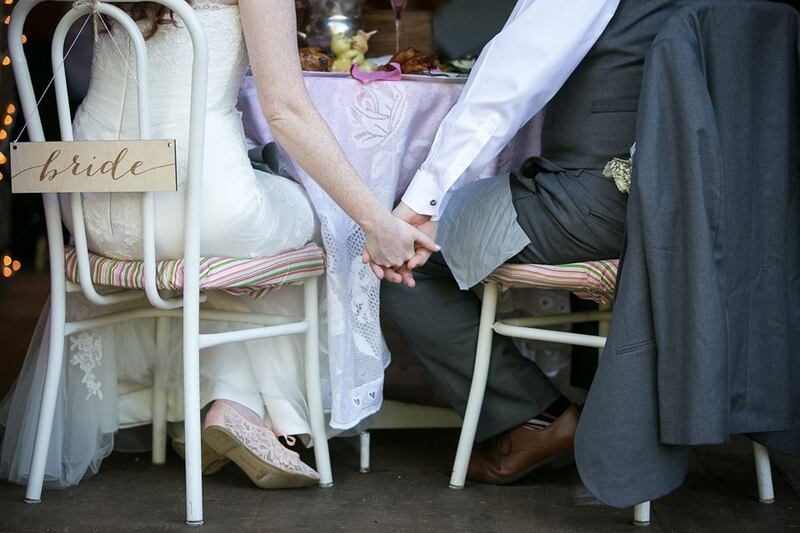 Click here to watch our wedding highlight reel. On our anniversary we actually watched the full-length version! If you have a wedding video, today’s the day to watch it. I’d actually tried to watch it a few other times this year, but started crying and turned it off 😛 On your anniversary, though? Nothing’s better. It’s so fun to watch your friends go crazy on the dance floor, marvel at how little your flower girl and ring bearer look, and obviously hearing your vows again is just something special. Now obviously you should give whatever gifts you want to, but for me I think it’s so fun to have a different theme for each yearly gift — paper for the first year, cotton for the second year, etc. etc. OR Clocks and China if you’re into the more modern version. 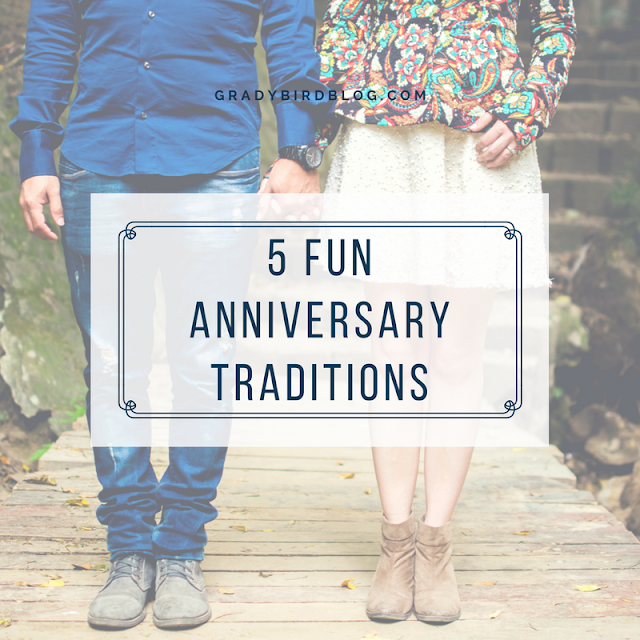 🙂 In fact, when Christopher and I were engaged, before we even got married, I told him that I wanted to do the traditional gift types for our future anniversaries. Neither of us are huge present people, so I didn’t want to make a big deal out of it, but I just think it’s fun to have a theme to play with – in fact, I think it makes it EASIER to think of a great gift, because you have a starting point already, so you’re not having to come up with an idea from scratch! This is probably my favorite of our traditions (save the best for last, right?) and one that we completely stole from my friend Emily. It’s fairly simple in practice but it’s also incredibly special. Basically, you put on your wedding outfits – for me that meant my dress and veil, and for Chris that meant suit pants and a suit jacket since for our actual wedding we rented his suit. 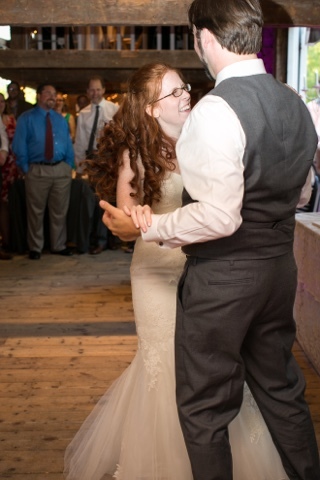 We then cleared the furniture from the middle of our tiny living room, put on our wedding song, and did our First Dance for the second time. It was simple and easy and funny and sweet and truly beautiful. Highly, highly recommended tradition. And who cares if your dress doesn’t zip all the way (mine for sure did not) or your husband is wearing his “Mr.” t-shirt under his suit jacket or you both are barefoot on your unvacuumed living room floor? Honestly, it was the best part of our anniversary and I already can’t wait to do it again next year. How about you? 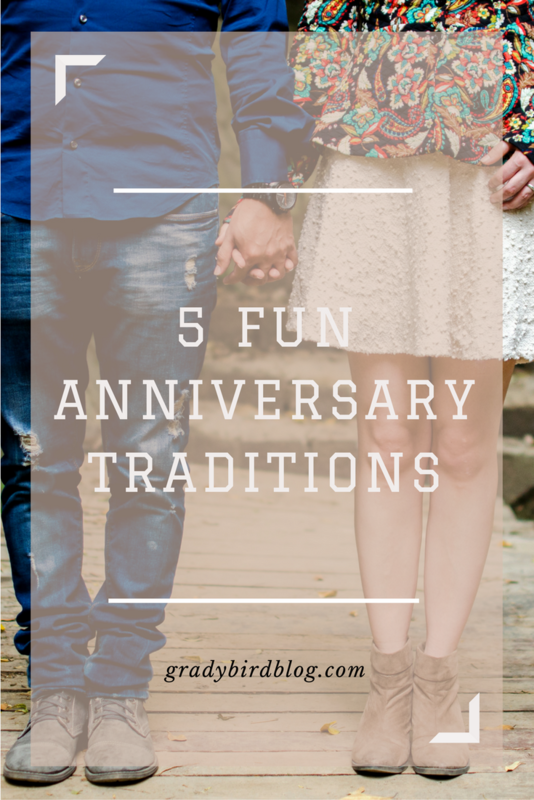 Do you and your spouse have any anniversary traditions? 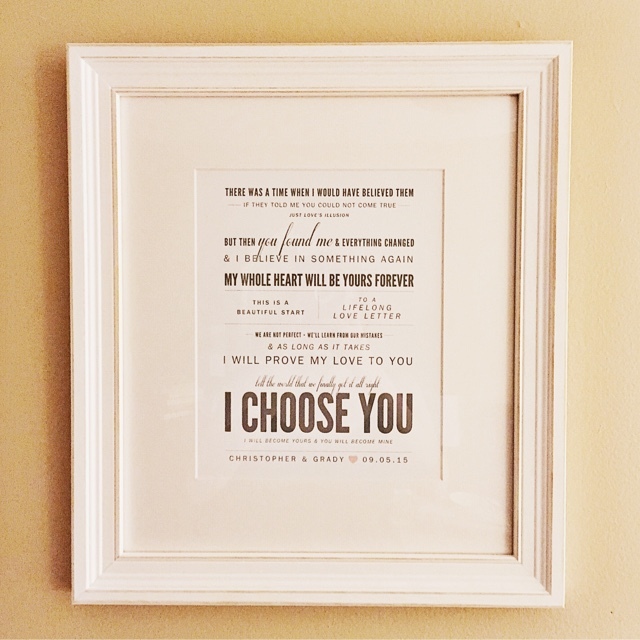 Or if you’re not yet married, are there any that you know you want to incorporate into your future anniversaries? I’d love to know below!